Without doubt Berlin is turning into Europe’s food capital. 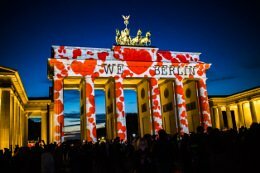 With our help you will find the best restaurants in Berlin no matter what kind of food you fancy. And the best thing is that Berlin’s restaurants are still very reasonably priced. So even a very fancy restaurant won’t leave you stranded with a bill as high as the Fernsehturm. 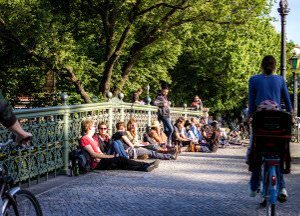 With our help you will find the perfect answer to the daily question where to eat in Berlin. Are you a Burger lover? Good news is that new burger joints open up seemingly on a daily basis. 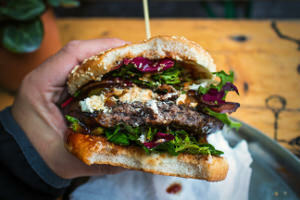 Continue reading where to get the best burgers in Berlin. Luckily if you fancy a burger nowadays you don’t have to eat some fast food burger without any taste. Awesome burger places open up almost weekly here in Berlin. In order to get you the best burgers in town we put together our favorite burgers in one awesome best of list. Time to get your hands dirty! A very traditional German dish and unbelievably tasty. Make sure to eat a Schnitzel while in Berlin. Continue reading where to find the best Schnitzel in Berlin. One may argue that the original Wiener Schnitzel is not from Germany, but (as you can already guess by the name) from Austria. 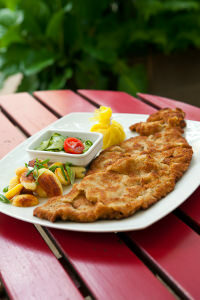 But nevertheless in any traditional German restaurant you will be able to order a delicious Schnitzel for sure. 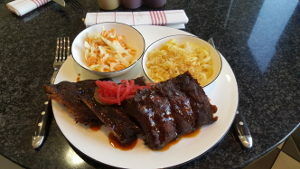 Traditionally as side dish you will either get some sort of salat, warm potatoe salad or some green salad, or something tastier and heavier like Spätzle (in Baden Württemberg) or Bratkartoffeln (in Bavaria). Either way, if you are on a diet, not even the salad will save you as a real Wiener Schnitzel is deep fried in tasty butter. As the food scene in Berlin is very dynamic it is almost impossible to keep up to date. But lucky for you we are eating out constantly, as we could not make better food at home and the prices for dining out are still incredibly low in Berlin. The Bird Berlin – Where all your burger dreams come true. Maria Bonita Berlin – The first real Mexican restaurant in Berlin. We will update our list of the best restaurants in Berlin regularly and are more than open to any suggestions. Guten Appetit.